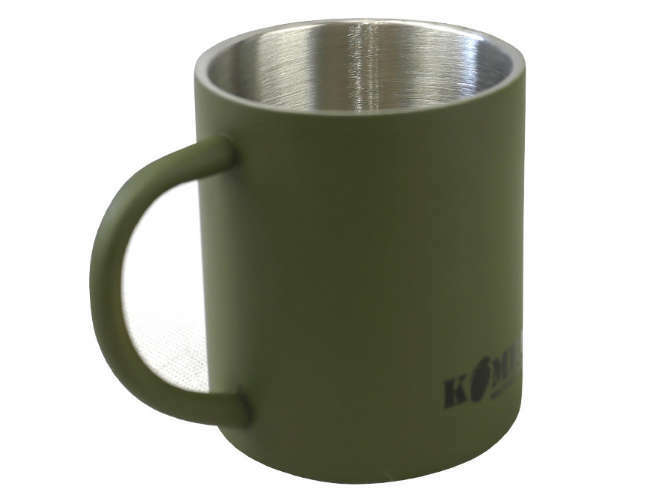 Very durable construction and double walled . Cold and hot drinks or outdoors camping etc. Great for annual camps weight 120g. Dimensions: 8 x 8 x 10cm.